Bielbys Hideaway, is a small studio style guest house. The property has plenty of places to relax with a book or picnic under a shady tree whilst enjoying the tranquillity. We are close to Maleny and the gorgeous Sunshine coast beachs as well as Chenrezig and Australia Zoo. A short drive away are the famous Eumundi markets on a wednesday and Saturday and local markets on Sundays. The local town has a shop and post office and a cosy cafe called Sweethearts. There is a multitude of amazing food places to choose from in the local towns, just ask your hosts or check out the guest folder for more information on a great spot to eat. With a queen bed and sofa bed we can cater for a small family. There is a maxinum of 4 people in the accomodation. We provide you with lovely plush towels. The kitchen is set up with all cutlery and crockery, pots pans even a wok. Theres a microwave, fridge, kettle, toaster and sandwich maker. 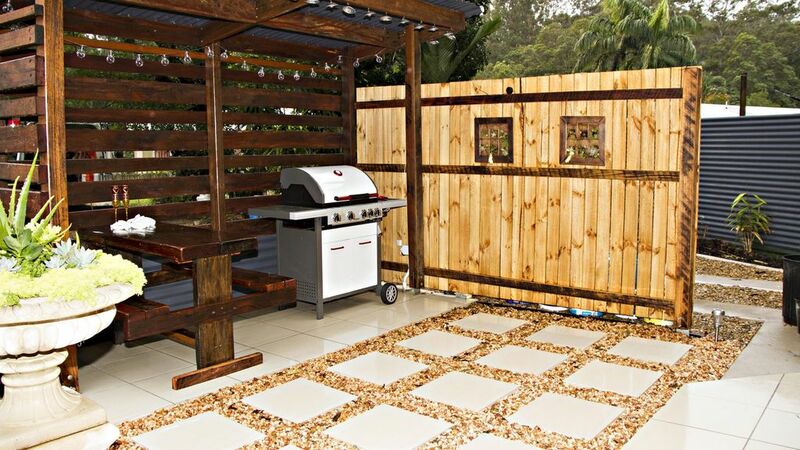 Just out side your door there is a full (gas) bbq area provided for your comfort. B/fast packs can be purchased, these are ready in your fridge for you to cook at your leaisure. 24 hours notice is need if you would like these. In the cupboards are a selection of games to enjoy, the bookself holds a variety of books to read, and theres a dvd library to also enjoy. Your lounge area features a swivel tv that can be watched from all angles in the guest house. Smoking is allowed only in designated areas and not inside the guest house or bbq area. BBQ in courtyard just outside front door.